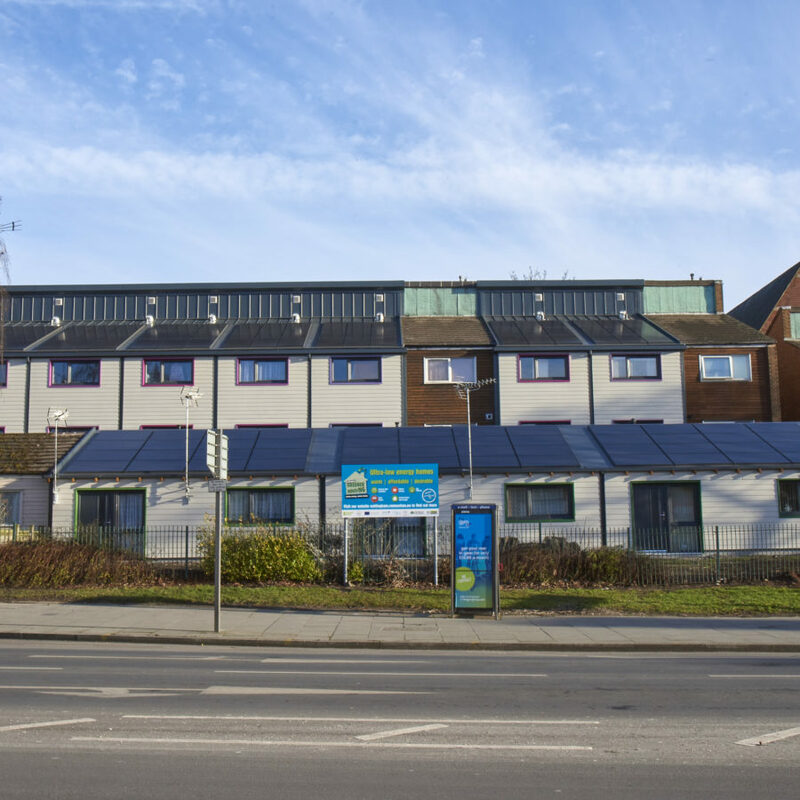 Studio Partington’s Nottingham City Homes 2050 Pilot project has transformed ten hard-to-heat, socially rented homes in Nottingham into desirable, warm and affordable homes, tackling both fuel poverty and climate change. 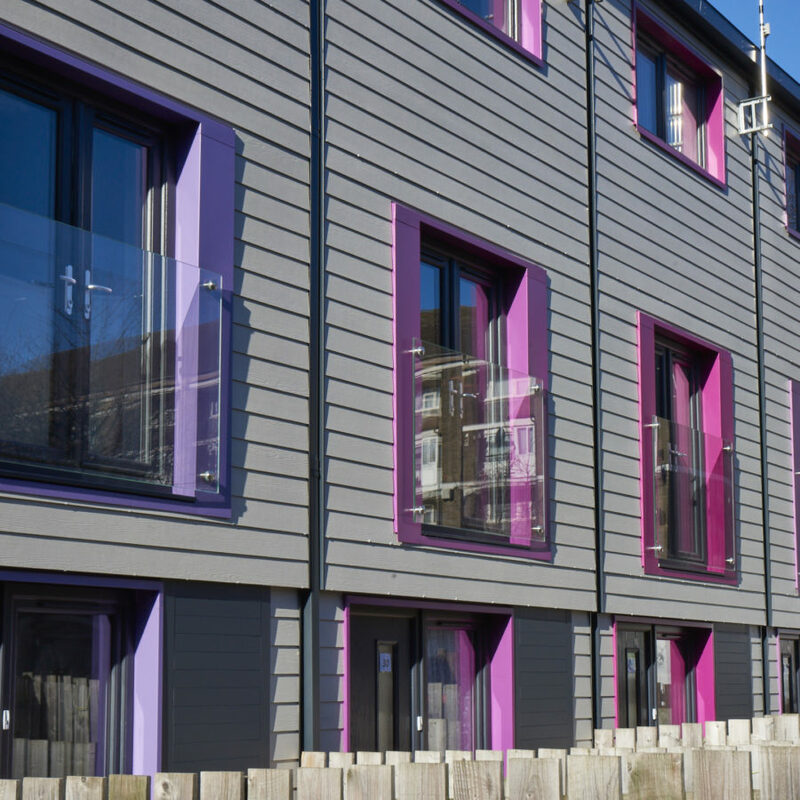 This pioneering net zero energy project, the first of its kind in the UK, was delivered using factory fabricated wall and roof panels by Melius following Energiesprong approach. 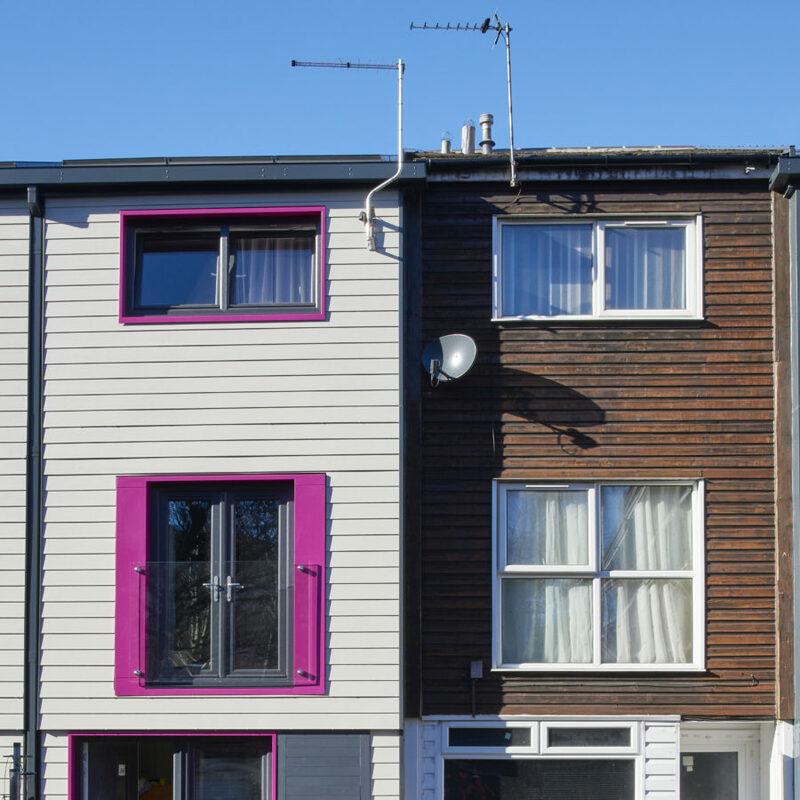 Seven terraced houses and three bungalows have been transformed through the application of the new highly insulated, timber framed panels that wrap around the exterior each home. Prefabricated offsite, the roof and wall panels arrive in full storey heights, complete with new glazing and a durable timber clad finish, ready to crane into place. 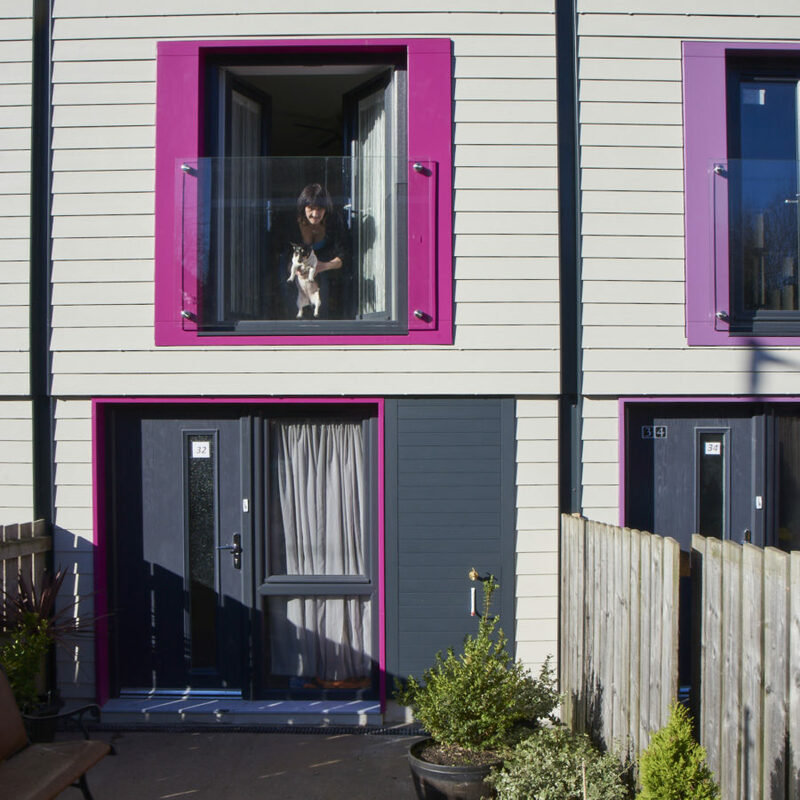 Tenants were consulted and engaged throughout the design process and were encouraged to personalise the appearance of their homes by choosing the colour of their own windows and doors. 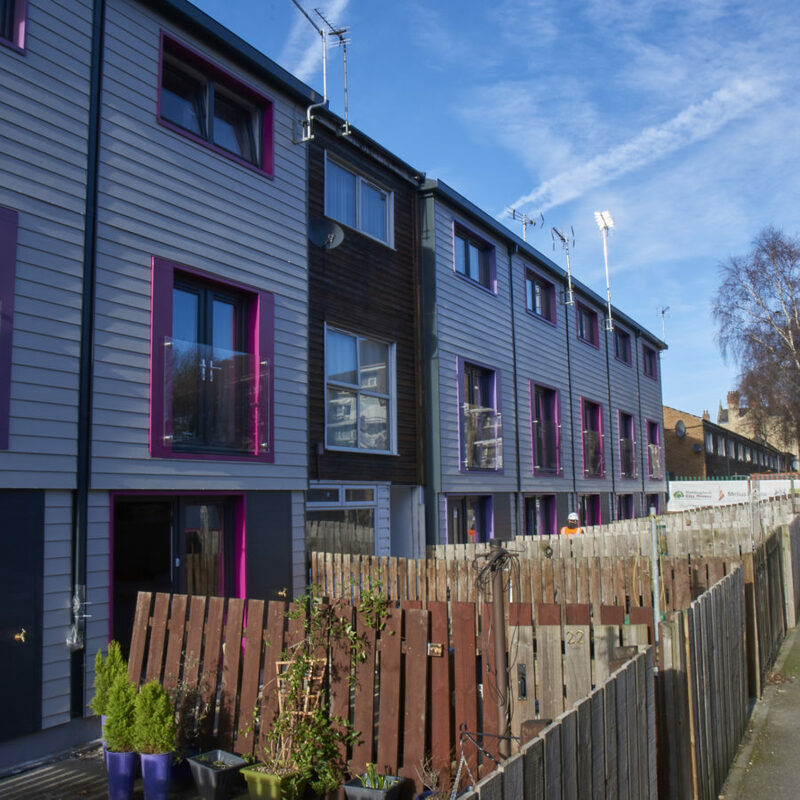 The community was also encouraged to develop surrounding landscapes post completion to build upon the existing community spirit and to provide a stronger sense of ownership.